My football party drink station was created in partnership with Cricut. All ideas and opinions shared are my own. Hi friends! I hope you had a very Merry Christmas or happy holiday that you celebrate! I enjoyed some nice time off and now I’m gearing up for the next holiday. And by next holiday I’m of course referring to the college bowl games! Oh and New Year’s too. 😉 Y’all know I’m a Buckeye fan (understatement!) and they are playing in the college football playoff’s on NYE. Wheeeee!!!! What an amazing way to ring in the new year with a big Ohio State win (like that positive thinking?) I am so ready for some exciting football and so is the drink station I created for the occasion. My Cricut Explore Air 2 really got a workout with creating this fun drink station… I love a good themed party and with my Cricut I can make decorations for any party theme possible. 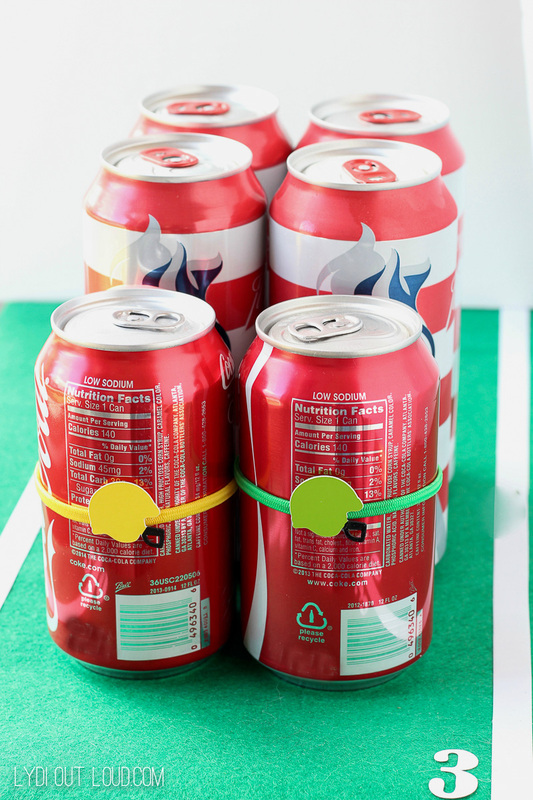 What I really love about these football party drink station decorations is that they are super functional too. How many times have you had a party and you’re left with dozens of glasses and yet you only had 5 people over? It can’t just be me! 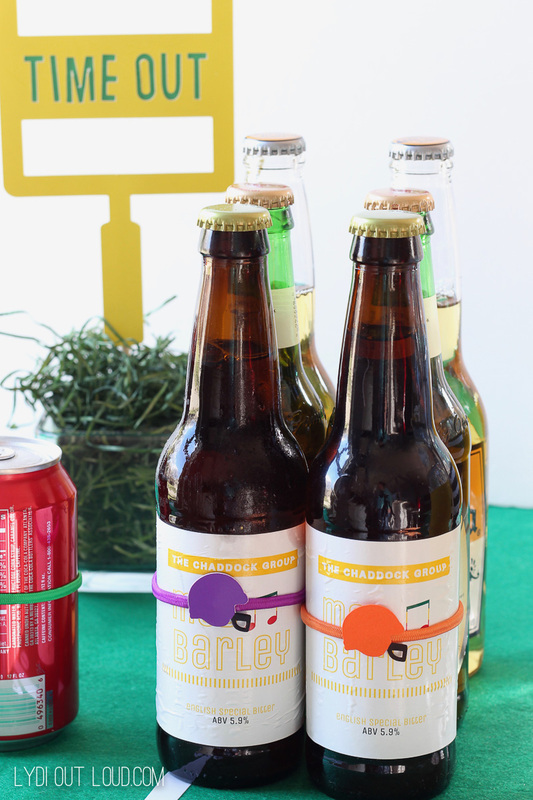 Well these decorations will help your guests keep tabs on their beverages at your football party and minimize your dishes later. Win win! Contrary to common belief, it isn’t necessary to have a beer in hand while watching football. It’s perfectly acceptable to sip on any beverage, including wine, while watching football too. #keepfootballclassy Haha! 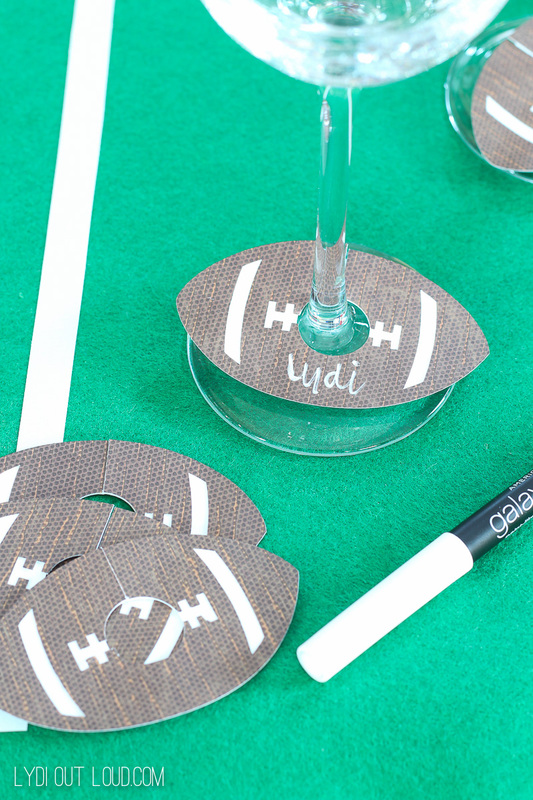 These fun football wine charms are easy to make and will prevent the mixing up of wine glasses or multiple glasses per guest when they don’t know which is theirs. 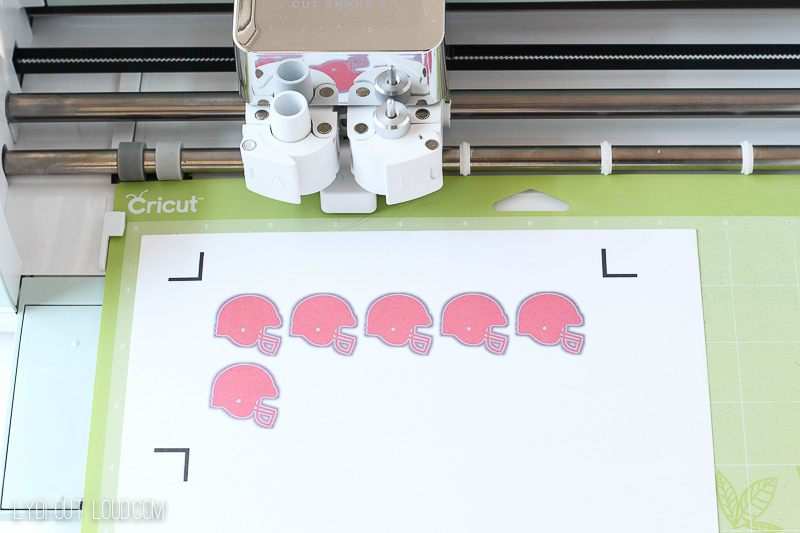 To start, open the cut file in Cricut Design Space and cut footballs out of football scrapbook paper or brown cardstock. 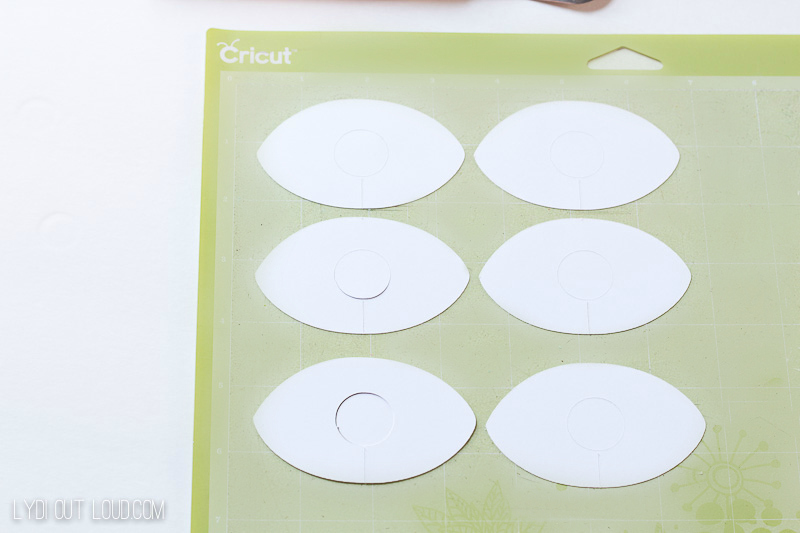 Also from the cut file, cut the smaller football shapes out of white cardstock. 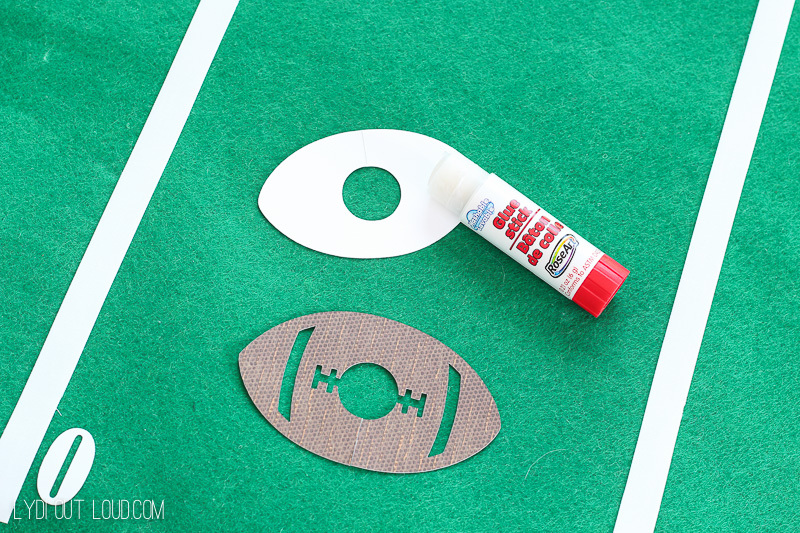 Attach the smaller white football shapes to the back of the footballs with a glue stick. Have a white chalk marker on hand for guests to write their names on their charms. 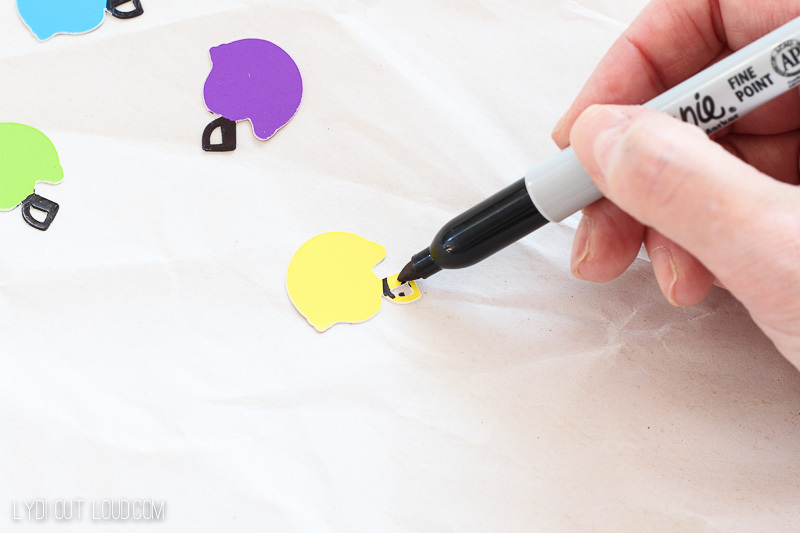 Cut football helmets out of a variety of colors of poster board; color in helmet face masks with black sharpie. 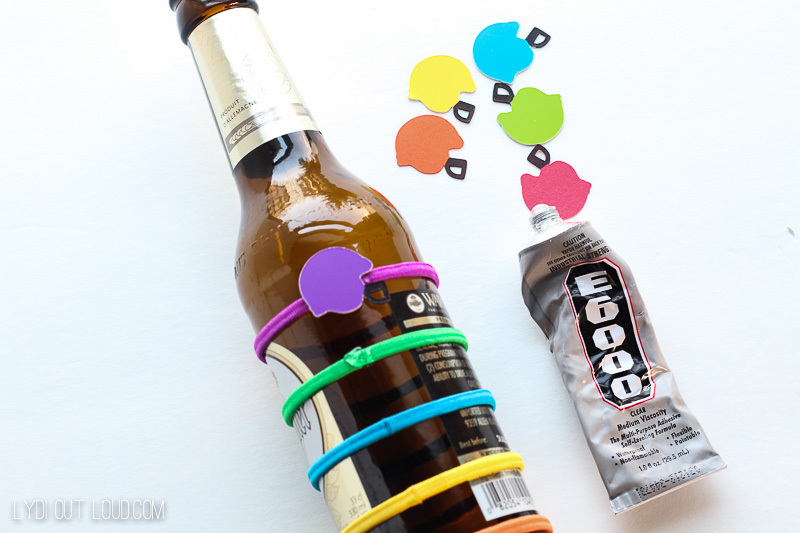 Place elastics around a can or bottle and place a small amount of craft adhesive on the seam of the elastics. Press helmets onto adhesive. Allow to dry for 1 hour before removing elastics from bottle or can. 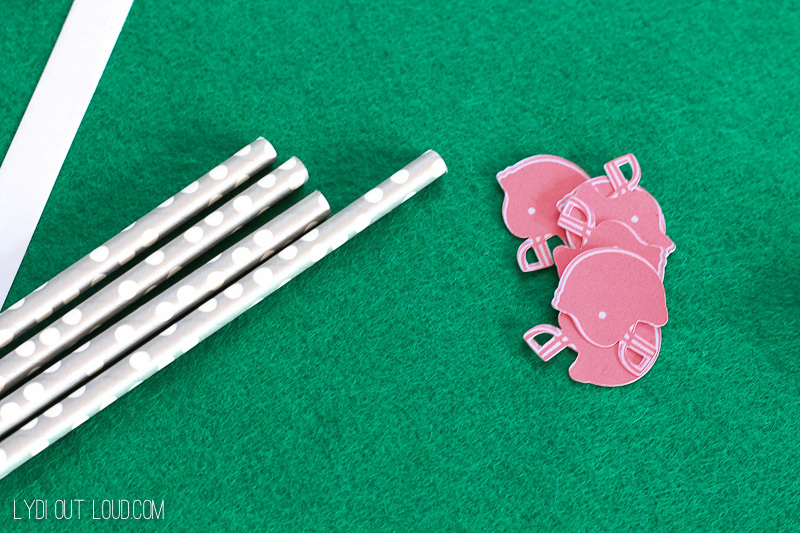 How about some party straws in your team’s colors? 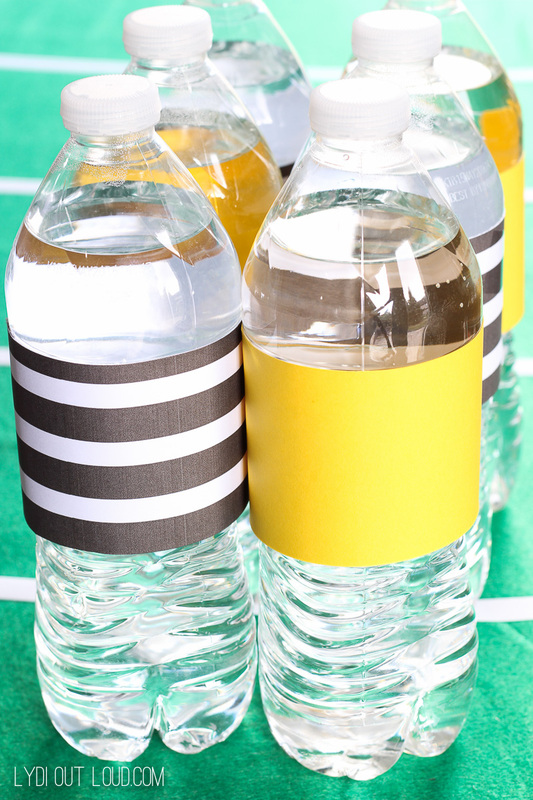 To make these referee and and penalty flag water bottle labels, simply cut wide strips out of black & white striped cardstock (similar) and yellow card stock. 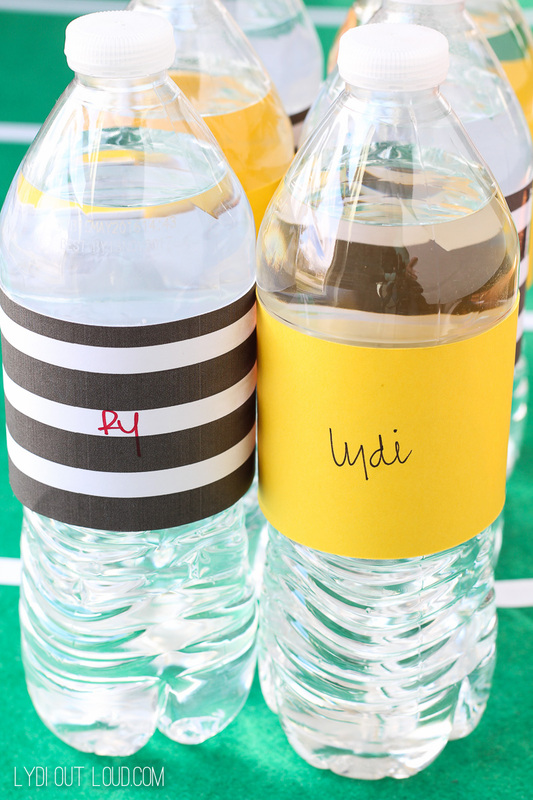 Keep a sharpie handy so that guests can mark their water bottles with their name. 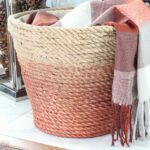 Any of these drink station decorations would make such a fun hostess gift too for the next football party or tailgate you attend! Like the favor boxes and Time Out goal post sign? You can make the boxes here and the goal post sign here! Is there a bowl game or team you’re really excited to watch next week? Whatever you do over the weekend, I hope you have a wonderful and safe New Year’s and I wish you the happiest 2017! Thank you for being here! This is a sponsored conversation written by me on behalf of Cricut. The opinions and text are all mine. 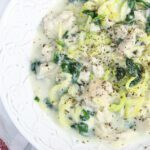 Affiliate links provided. 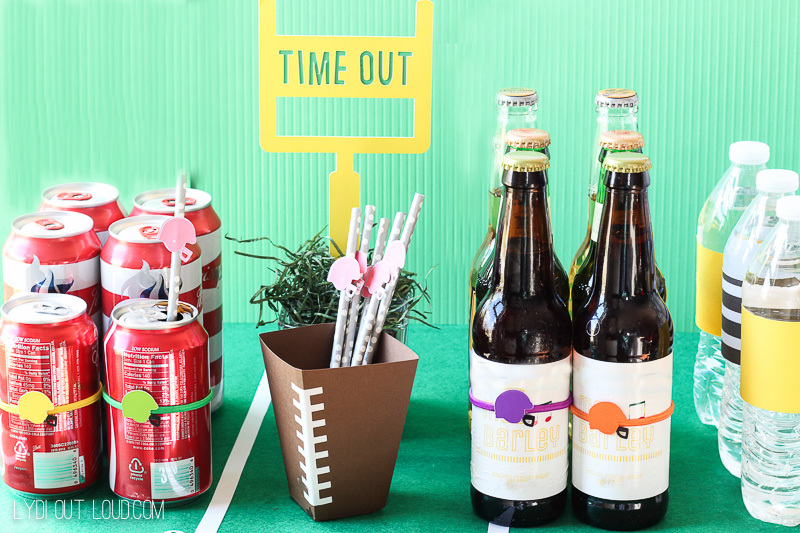 I love your fun football game party drink station! 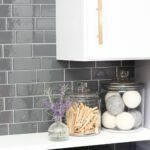 Thanks for sharing your printable at the #HomeMattersParty last week. Hope you will link up again at the party starting Friday. Thanks so much Nicole! And thanks for an inspiring party! I absolutely love all of these! Such a festive way to rock a football party (which I’m always up for)! Thanks for sharing your DIY’s with us at Merry Monday this week! 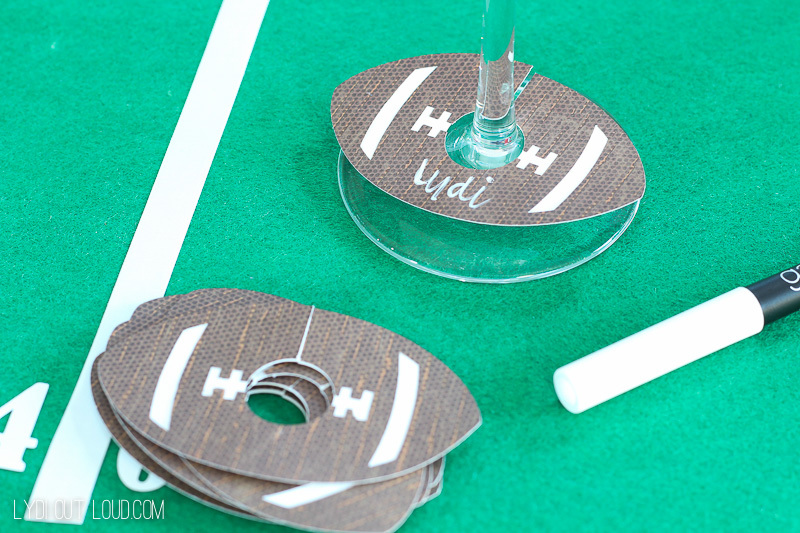 Great ideas for a holiday/football inspired party! 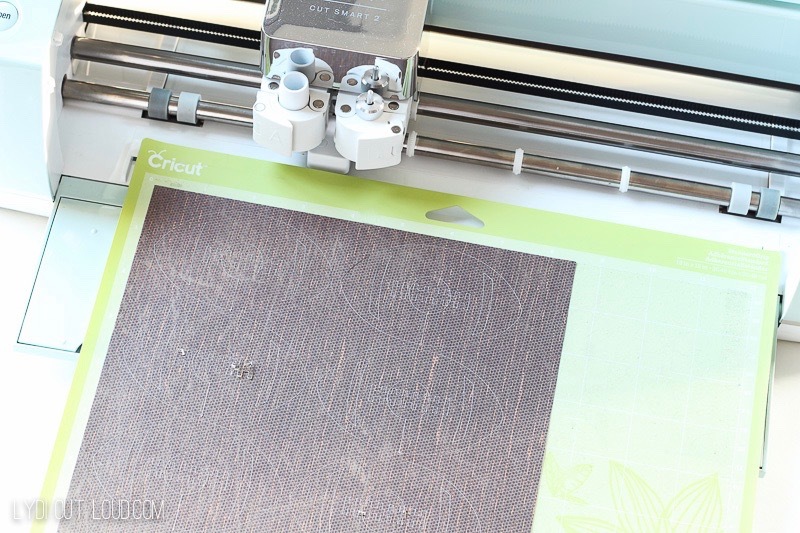 Great Cricut utilization. Love the name tags for the wine glasses! So creative! Go bucks!! Wow! I never thought of using the cricut for this. These would be great gifts too.